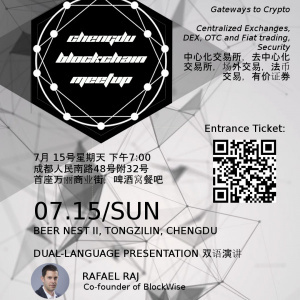 The goal of this meetup is to facilitate the exchange of information about blockchain and decentralized technologies. We are dedicated to build a community with genuine interest in blockchain technology and to help and support newcomers to the space. This ticket includes a selected drink. 50元 pre-sale, 70 at the door.